Thanks to the longtime reader Mouli for adding his valuable inputs in making this article possible. I’ve been asked to review the HSBC Credit cards for couple of years now but i had always postponed it as i thought HSBC would go out of business. Well, I read somewhere few years back that HSBC isn’t interested in getting aggressive on Indian Credit card business so i thought they’ll exit soon. Fortunately they didn’t. But they’re choosy in issuing credit cards, like, they don’t encourage self-employed individuals. Anyway, i’m happy to finally share the review of their Platinum Credit card with some good insights. While there are multiple credit cards in HSBC portfolio, i believe HSBC Visa Platinum Card is the only one they’re actively promoting. So this is the review of the same. The surprising part of HSBC credit cards is that they don’t have any joining/annual fee on any of their cards. Get 10% cashback (up to ₹2500) for making a minimum of 9 transactions totaling to ₹10,000 or more in the first 90 days. BookMyShow voucher worth ₹500(2 * 250 voucher) on spending over ₹50,000 in a calendar month. Maximum of ₹3000 per cardholder in a year. Buy 1 Get 1 Tickets has to be only for Saturday shows but you can book on any day the week. Once in a month. Add on card treated as separate card. On Fridays you can get Rs.1200 discount for roundtrip and 1200 off on hotel bookings also using CTHSBCFRIDAY. Add on card treated as separate card. On Sundays you can get maximum of Rs.10000 cashback (10%) for making international flight tickers in MakeMyTrip. Add on card treated as separate. They seem to have impressive rates and this is what Mouli has to say: “Though I am preferred customer in HDFC and have priority relationship with other banks but still HSBC is my goto card for all BT and loan as they offer the lowest percentage and processing fee. Ideally, you can get ~45k Points on spending 10L a year. This is where you need to put your mind to some use. I wish HSBC made this part easier for everyone. Just like any other Hotel Loyalty program, based on the property, you can maximize the value even more. So I have mixed views on this card as extracting value from it isn’t easy unless you’re into the points game. Airline transfers & Hotel transfers are the only ways to get handsome returns and suits only for those who could put 10L spend a year on it, nothing less, nothing more! Furthermore, if you club it with HSBC Diwali Offers you may get even more value, but it is overall far away to be called as “rewarding” for the regular cardholders. Do you hold HSBC Credit Card? Feel free to share your experiences in the comments below. Got this card last Nov. Got two cleartrip vouchers worth Rs 1000/- each. Still awaiting the cashback. Cashback would get credited post 90 days of card issuance.. Applied online for one of their credit card way back in 2014. Application rejected siting internal policy. Later got to know it doesn’t fall into their card service area. Now their card service areas are mentioned while applying and limited to 7-8 cities only. Though one of my friend was able to get their cc based upon his savings account, which I am unwilling to open now. Exactly, There is no point of getting hdfc card through opening account with hsbc. Not that exciting rewards. I agree with sid that hsbc should new products in Indian market or they will exit soon. Cleartrip vouchers were kind of useless for me. Applicable only on roundtrip flights of total value 4000 INR and maximum discount was 1000 INR. I never used those. Applied for this card on c2c basis and i fulfilled itr requirement too and was very sure would be receiving it, but they declined to provide card to me on some internal criteria, self employed tag maybe the reason, did someone received card on self employed as profession, please let me knw! I also applied last year as i am self employed given ITR and also my credit card statement. Reason is “internal bank policy”. Now they have stopped processing cards to self employed. Clearly written on their website. Ohh that’s really wrong, banks should understand that we also deserve some respect, we don’t have stable income but we mostly earn more than a base salaried earn in their criteria and secondly when i applied in their website it was mentioned as eligible by providing more than 4 lakh itr and then too they declined which is wrong! Also they have regular Monday 10% instant discount upto 1500 on Flipkart. I am using the card for the past few months. Another promotional offer they are running is 500 Amazon voucher on spend of 3k every month. At least 1 spend in dining , telecom and fuel, valid till 31 march. Note sure if this is a targeted offer. On the clear trip vouchers there was a catch associated with it. It was 2- 1000 rupee vouchers which were like promo codes. Not sure if it has changed now. Hsbc and rbl both are generous in giving credit limits. Got this credit card almost 2 years back ( as salary account ) . From that time its being rarely used because every time there are better offers on SBI/HDFC/Amex/SC. Mainly used this card for insurance payment only for which i have registered as payee. As per my opinion, apart from welcome offers this card is having very basic features and can be treated as just a back up card ( As its lifetime free). I hope HSBC will come up with some features on this card ( or new card ) in near future. I had been using HSBC platinum card for more than 10 years, balance transfer & cash on loan are offered at a pretty attractive lower interest rate as compared to others, I’m also a HDFC preferred customer & their offerings on insta & jumbo loans are also very attractive & the best part with HDFC is the goodwill it gives to customers based on usage & time, In HSBC’s case they are least bothered about customers usage & goodwill, but the best part of this HSBC Card is you get 52 days of credit period for a statement cycle which I believe is the maximum day’s any credit card is offering. HSBC Card is not exceptional but its definitely valuable compared to few others like Kotak, Axis etc. It gives real value by offering discounts on certain category of spends. It’s kind of friend who is there when you indeed need him. I never consider HSBC rewards a deal breaker but other offers definitely make it a must hold card. 1. HSBC Currently running upto 1500 Amazon voucher offer under which if spent 3000 cumulative across 3 categories Fuel, Telecom & Dining then one can get 500 amazon voucher per month valid Jan-March 2019. 2. Spends based offers have become frequent on HSBC Cards. 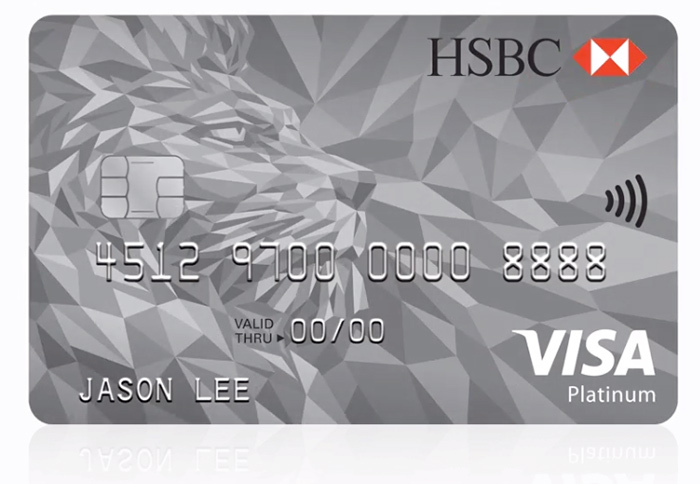 HSBC allows to hold multiple cards so one holding VIsa Platinum may try for Smart Value card. On multiple cards, do they have shared limit or separate? When I held 2 Visa Platinum cards during 2006-2008 they had separate limits. But their executives (on field & online both) confirmed that if their credit assessment approves one can get even 2nd Visa Platinum card too. One online executive boasted about holding 2 cards himself. I tried via bankbazaar but that was not processed for me last year. Thanks for the review. Can this card be used as replacement for indusind platinum. But, i guess reward point value in indusind card is more 1RP=0.81 for card statement settlement. Can i earn reward points if i do wallet load with this card? I have my deep love and respect for this card… In 2008 HSBC gave me a 5gm Gold Coin on 50K Spending, that was really attractive in those young Days. Now also they keep on coming with some or the other offer like During December they gave a offer of 3500 off on Spent of Rs.1.00 Lakhs. I am really not sure this was my 1 or 2 card after Vijaya Bank, a Friendly bank which trusted me first card. Unlike other banks, HSBC wont give Visa signature variant but rather…it gives lot of direct benefits like BMS winpins, Cashbacks, cleartrip, MMT offers. 5X points after 4L spend is real cool one, which most of us ignore ! The normal reward rate comes to 0.5 %, with 5x it shoots to a mere 2.5% which can be beneficial only in loading money to wallets. Otherwise, SBI Prime would give 2.5% reward rate on Movies, dining, grocery and departmental store purchases which is great! I applied this card couple of months back but they rejected my application. I own 5 CCs and have a very respectable 837 Experian score. Disappointed. This month I have applied for HSBC Visa platinum credit card and got approved.Already am having 12 credit cards from 10 banks. Am also salaried employee and my Experian score is 823. Buy 1 get 1 movie ticket is not actually like that. You only get INR 200 off on the 2nd ticket. I have this card and have availed the offer. It has been changed to 200/- now from last 2-3 months I guess. Sid, I just received this card and have made first transaction. Can you please let me know what is the interest free days? I dont find that info anywhere in their mailer. I confirmed it with customer care. There is a total of 52 interest-free days. The SCR told me that you need to pay your bill within 22 days from the date of statement generation. Can anyone let me know if HSBC comes up auto limit enhancement based on spends and payment pattern or do we have to send the income documents every time we need to get the enhancement?